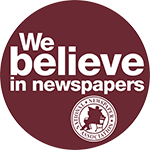 COLUMBIA, MO — Judging results have been processed and winners of the 2013 Better Newspaper Contest and Better Newspaper Advertising Contest have been posted online at nnaweb.org. 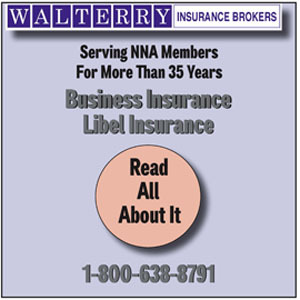 Winners will be recognized at the award reception held Saturday, Sept. 14, during NNA’s 127th Annual Convention & Trade Show at the Arizona Grand Resort in Phoenix, AZ, Sept. 12-15, 2013. Visit NNA’s “Events” page to register online to attend the convention or to purchase reception tickets: nnaweb.org. NNA Contests and Awards Committee Chair Jeff Farren, president and publisher of Kendall County Record Newspapers Inc. in Yorkville, IL, announced and congratulated the contest winners in an award notification e-mail. The “Winners reflect the high quality of publications represented by the association,” Farren said. 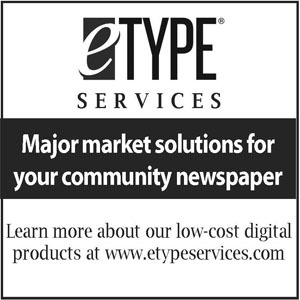 There were 1,777 entries in the Better Newspaper Contest and 375 entries in the Better Newspaper Advertising Contest for a total of 2,152 entries. 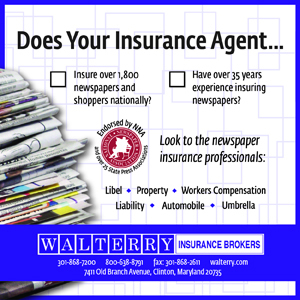 A total of 544 awards were won by 140 member newspapers in 41 states. California had the most combined BNC/BNAC wins with 88, followed by Texas with 45 and Iowa and Wyoming tied with 41 each. Lists of winners by division and newspaper are available on the Contests web page at nnaweb.org. Winners will be recognized in a special contest PDF available at nnaweb.org following the award reception this fall. Places won in General Excellence categories will be announced at the award reception. Judging was performed primarily by active community newspaper editors and publishers and included retired university journalism professors and retired or former newspaper men and women. “We deeply appreciate and value the time and talent volunteered by the judges for these contests,” Farren said.